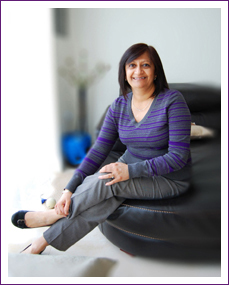 The Northwood Speech and Language Therapy Practice is owned and managed by Sangita Amin. All our Speech and Language Therapists are fully qualified and state registered with the Health and Care Professions Council (HCPC), members of The Royal College Of Speech and Language Therapists (RCSLT) and have Enhanced Disclosure and Barring Service Checks. Sangita Amin, Director and Principal Therapist. I qualified with a BSc (Hons) in Speech Therapy from a London University in 1986. I worked for the NHS within a multitude of settings including hospitals, Child Development Centres, health centres, nurseries, primary and secondary schools, special needs schools for both moderate and severe learning disabilities. I gained valuable and extensive experience whilst working with clients with a wide range of communication difficulties and worked alongside various professionals within a multidisciplinary context. I offer Clinical Supervision to other Speech and Language Therapists as well as supporting newly qualified graduate Speech and Language Therapists in obtaining their Clinical Competencies. I have a particular interest in Bilingualism and stammering and maintain my Continuous Professional Development (CPD) through attending training courses and seminars.